Our Dodge RAM 1500. A truck that drives like a plush large SUV. Our Dodge 1500 ram pickup is an extended cab which give us loads of space inside, as well as the highly useful bed of our truck. The draw back of this great truck is only one and that would be the consumption of gas but other than that it drives and handles like a large SUV. We chose this truck because not only the spacious cab and bed, it is dependable ( knowledge due to owning one before it, which we regretted selling). It handles our towing demands our hauling demands and looks great and handles great going down town or out on highway or way out in the country. We would recommend every busy consumer out there that needs the space, as well as the ability to haul tow push and pull. And wants a comfortable plush ride while doing so needs to own a Dodge RAM 1500. Its like owning a fancy car with the power and might of a great truck. Amazing Dodge with almost 235, 000 mi. I absolutely love our old Dodge! Its a 2000 Dodge RAM 1500 with almost 235, 000! Everyday and every mile added astounds me if it were a diesel it would be barely broken in, but for a gasser it's amazing! That is why I love doge with regular maintenance an some part replacements like ball joints tie rods brakes rotors etc.. They will just keep going and going! I know that truck will start up every day and get me to wear I need to be, and will continue doing so for many more miles. I bought my truck used. It had 135, 000 miles (actual). She had a small oil leak. That 5. 9 magnum engine lasted for 6 years under my ownership. The original engine lasted for 14 years with very minimal work. I replaced the engine with a used one and it has lasted 16 years, including original truck and mine. 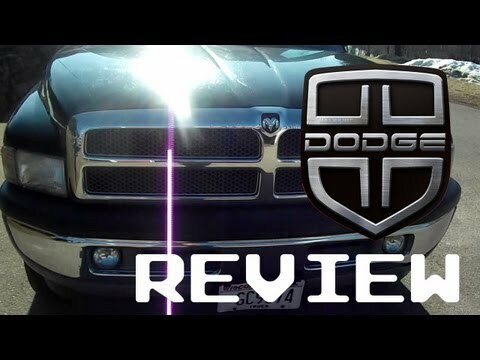 I would rate Dodge as having one of the best built engines on the market today.